Welcome to the educational platform helping people in the country. Dear students it is to intimate that Punjab University is going to register from the month of September-2017. You are required to submit registration form alongwith necessary documents before the last date. The university of the Punjab is the largest and the oldest institution of higher studies in Pakistan and it was established in 1982. Every year thousands of students get themselves register for undergraduate, graduate and post graduate programs. PU every year opens admissions for both private and regular students and also in the different field of studies. Punjab University has its two main campuses in Lahore named as Allama Iqbal campus and Quid-e-Azam campus. While there two sub campuses also present in Gujranwala and Khanspur and offering many programs in various fields. You can get all kind of information here about the Punjab University’s B.A/BSc Private Admission and examination process. University of the Punjab has declared the schedule of registration for Private candidates of BA/BSc yearly examination 2017. 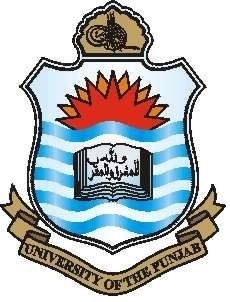 Punjab University has announced the private online registration date for the annual examinations of B.A and B.Sc. Registration will be started from the 1st September, 2017 and the last date for submission of Private Registration Forms will be June 30, 2017. All the candidates who are late from submission of the registration form can submit their form with double fee. There should be a gap of two years between the candidates FA/FSC annual examination and the BA/BSC annual examination 2017 so according to that statement only those candidates who have an intermediate degree of year 2015 to prior to 2016 are eligible for appearing in the annual examination of BA/BSC of 2017. All those candidate who have passed in the supplementary examination of Intermediate must have to attach their original certificate copy with the registration form otherwise this registration form will be rejected by the administration. Private candidates of B.Sc can choose only subjects for the examination that have no practical portion. Along with the registration form there will also be the matric result, Intermediate result attached with the candidates and his or her father CNIC attested copies, 2 recently taken photographs, Original NOC and Fee submission receipt. Registration form will be accepted by hand or individual sent by the courier service because these addresses should be taken in record of the University. Candidates should submit their registration fee by him or herself as so that you can make sure the date, fee and other written thing in the receipt is correct in case of wrong receipt the candidate itself will be responsible. Candidates should use its own and correct address in filling the registration form as in the future the roll number slip, result and after that degree will be sent on the same address as you mentioned in the registration form.